Åbningsceremoni og pastaparty er ovre i Winschoten, Holland. Kl. 10 i morgen går starten til dette års VM og EM på 100 km. Pia og Brian deltog i sidste års VM i Doha, Qatar. Mathias har tidligere deltaget på 24H-holdet. Alle ved således, hvad det går ud på. Til trods for lidt sygdom i kroppen hos et par af løberne, så er forventningen hos alle tre, at der skal sættes nye personlige rekorder. Det bliver spændende at se, hvad det kan blive til. In the absence of last year’s winners Max King (USA) and Ellie Greenwood (GBR) we will be crowing new champions in this event. Vasiliy Larkin (RUS) leads the men’s field having run 6:18:26 at Ispitai Sebia Ultramarathon in 2013. He was just over the 6 Hour mark at the Comrades Marathon this year. Giving him company will be Steven Way (GBR) and Jonas Buud (SWE) with bests (2013-2015) of 6:19:20 and 6:28:57 respectively. 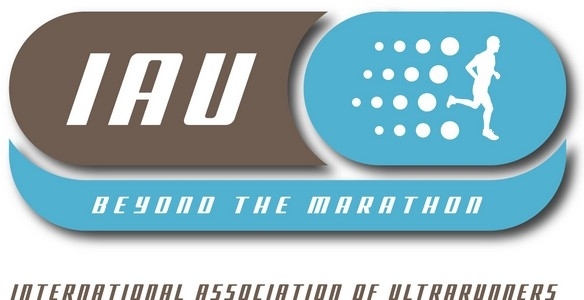 Way has recently taken the ultrarunning world by storm while Buud is a perennial at the world championships podium. Former champion Giorgio Calcaterra (ITA) will also be in the field having won 100km del Passatore this year. Another well known name is bronze medal winner from last world championships in Doha, Jose Antonio Requejo (ESP) who will try to move up on the podium in Winschoten. Three members of a team count for team standings. Japan will be entering a very fast men’s team with three runners under 6:40. Spain and Great Britain with their consistent performers will be looking for that top world and European team spots as well. In the women’s field, Camille Herron (USA) will be leading the field. She ran a very fast 7:26:24 at the Mad City 100km this year. Two of last year’s podium finishers, Chiyuki Mochizuki (JPN) and Jo Zakrzewski (GBR), with bests (2013-2015) of 7:36:39 and 7:41:55, will be toeing the line to move up on the podium places and be crowed the world champion. Former world champion, when it was last held in Winschoten In 2011, Marina Zhalybina (RUS) will also be in the field alongside her teammate Irina Antrapova. In the team competition, Nikolina Sustic will be leading a very fast Croatian team. Japan, Great Britain and Sweden have a very fast team entered as well with Berg leading the team from Sweden after a 1- year hiatus. Øvrige oplysninger om deltagerne kan ses her.